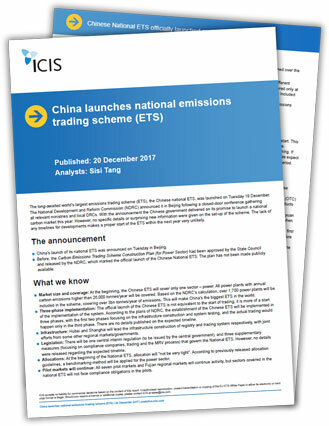 The long-awaited world’s largest emissions trading scheme (ETS), the Chinese national ETS, was launched on Tuesday 19 December. The National Development and Reform Commission (NDRC) announced it in Beijing following a closed-door conference gathering all relevant ministries and local DRCs. In this white paper, ICIS looks at the impact this scheme may have on the Chinese carbon market.